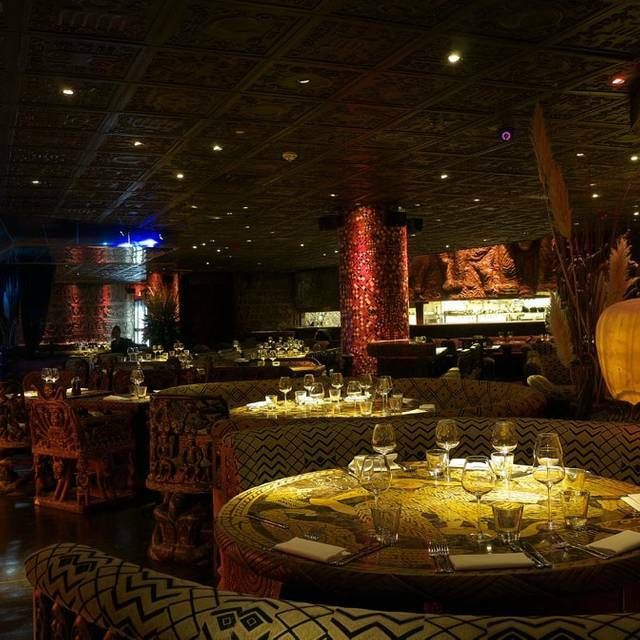 You must make bookings at least 5 minutes in advance of the time at Shaka Zulu. Street parking is widely available in our immediate area with both Hawley Road and Leybourne Road offering Meter Parking. Hours of operation are: Mon-Fri 08.30 to 18.30. Sat-Sun 09.30 to 17.30. There is also a car park at Morrison's Supermarket just off Chalk Farm Road although customers are advised to check any restrictions that may be in operation on the signs. Nearest Tube Station is Camden Town. Take the exits on your right hand side at the top of the escalators, and turn right up Camden High Street. We are approximately 300 metres up on the left hand side. Our entertainment programme features African drumming and dancing with lounge style music until 9pm, with DJs thereafter. 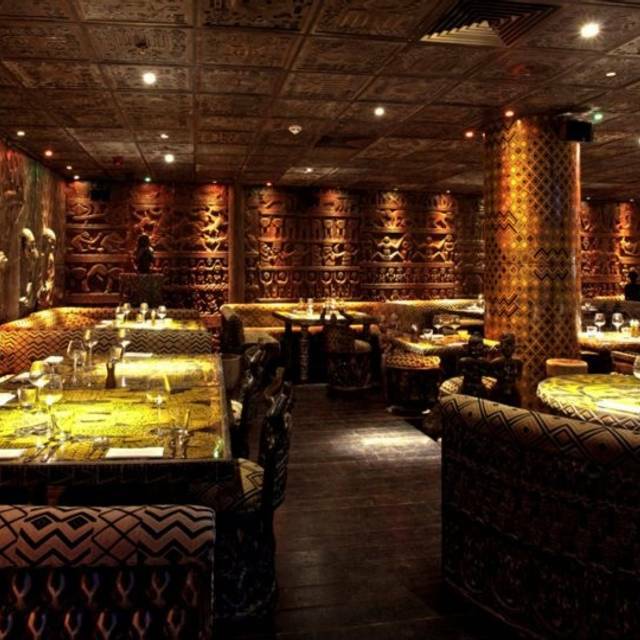 Shaka Zulu is an authentic South African Braai restaurant and bar located in Stables Market, Camden. This breathtaking venue offers an extensive menu including oysters, seafood, finest steaks of British Red Poll Beef and Dorper Lamb, as well as traditional dishes including bobotie, boerewors and sosaties. 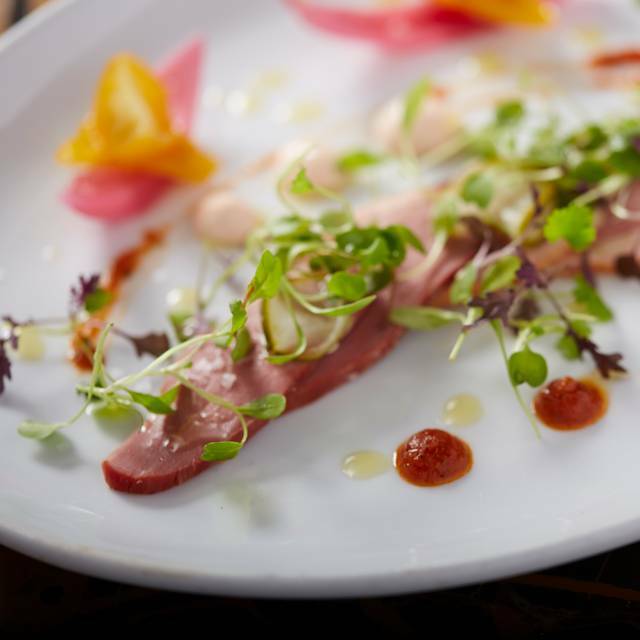 For more adventurous diners, there are game meats such as Kudu, Ostrich and Springbok available. 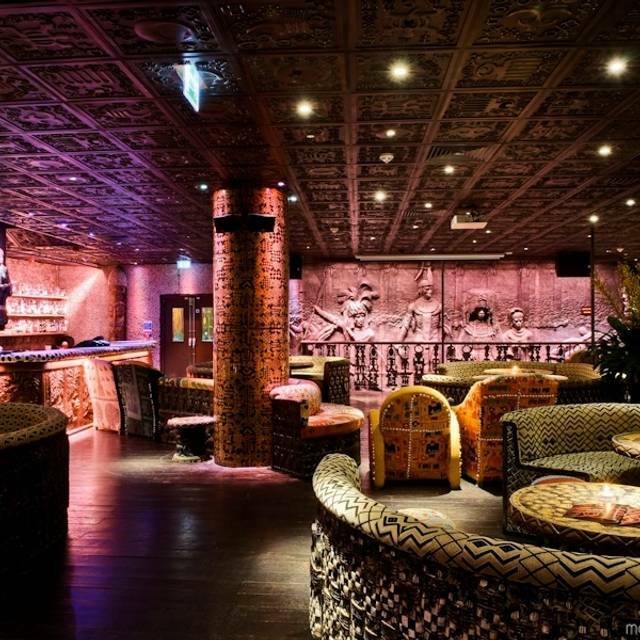 To complete the experience, there is a variety of African entertainment and DJs with music and dancing until 2am. 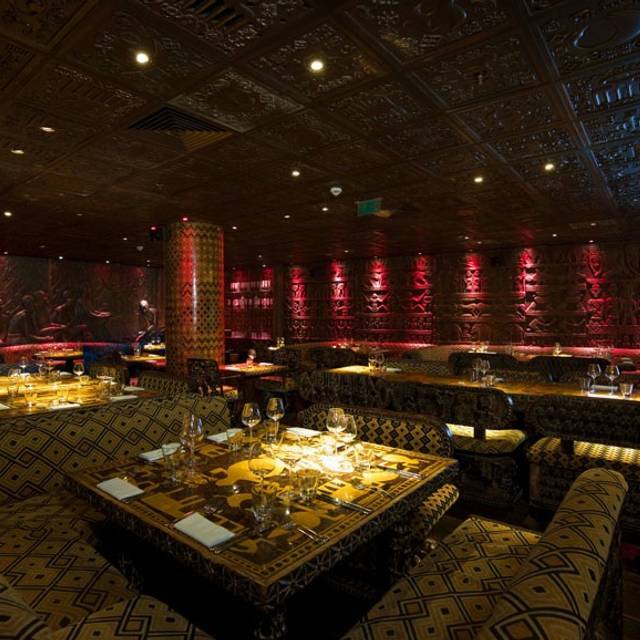 We have a number of options available for part or private hire on either our mezzanine or main floor. Get 50% off a main course when ordering a starter or dessert per person. Offer applies to A la Carte menu only. Table may be returned after 90 minutes. Excludes sharing boards. Choice of Zebra, Crocodile or Beef burger with fries & cocktail. Offer applies on a selected menu only. Table may be returned after 90 minutes. Amazingly intricate decor, so much effort has gone into the look of the place! We had the crocodile and zebra burgers with chips - all cooked deliciously. Really enjoyed the African music they were playing too. Fun night out and good food! Terrible place, terrible food and even worse customer service. 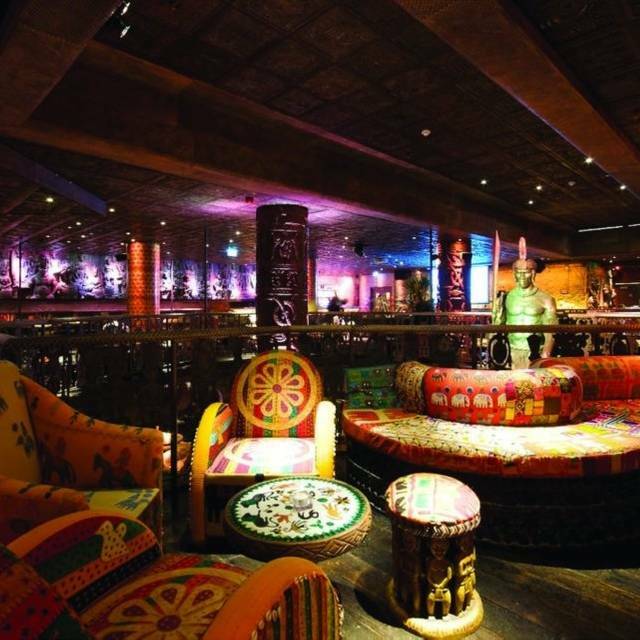 Went to Shaka Zulu for lunch after wanting to go for a while. The place itself is great although it could do with a freshen up. Some of the seat covers were coming off slightly and the toilets have seen better days. That being said the atmosphere was good, great live music and good food. The service wasn’t bad just very slow which was surprising due to the restaurant not being exceptionally busy. In any case - would we return? Yes. Great place with good food and atmosphere with excellent music. Sounds like a good lunch to me. Double family celebration for my daughters 23rd birthday and Mother’s Day. Fantastic venue, looked after from start to finish we all had a lovely time, very memorable. It was a lovely experience and the decor was amazing . The staff went above and beyond to be of service . 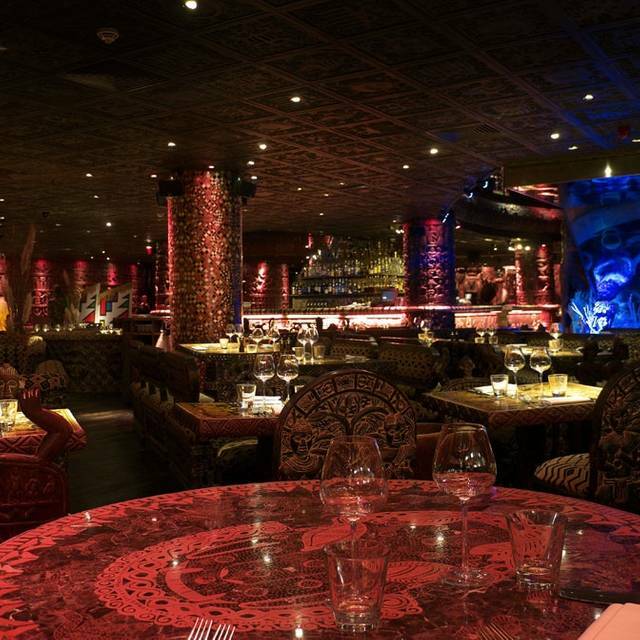 The set menu offered enough choices but found the food somewhat mediocre in comparison to my previous visit to Shaka Zulu. I would recommend to anyone who hasn’t been before but the food didn’t “wow” me . Amazing place. Delicious food and such a great atmosphere. Would definitely return. They try to serve me the wrong and cheap cocktail,( bellini) insted to serve the one I paid for (oro dragon). Disappoint me a lot, after I said to the waitress which menu I choose she insist to said " I m 100% sure about that", so Because is not signal in that place, I walking back outside and make pictures of the menu I order, after see that she agree, that was a pure theatrical issue for me. I just want pass a night out with my lady, and been in argu was my last intention. We had Groupon voucher so a good deal. Also happy hour. Only gripe was if you wanted happy hour drinks you had to go to the bar to buy your drinks, by the time we had done this our food was waiting on the table. Why our waiter couldn’t take the order I don’t know. It was afternoon, they were not too busy! It was my son’s 5th birthday and we were a group of 35. The restaurant had only one person serving us and the kids got very frustrated as the food was taking so long to get to them. Some people got served while others had to wait almost an hour for the food to come through. I feel like they were very disorganised and should change something about serving big groups. 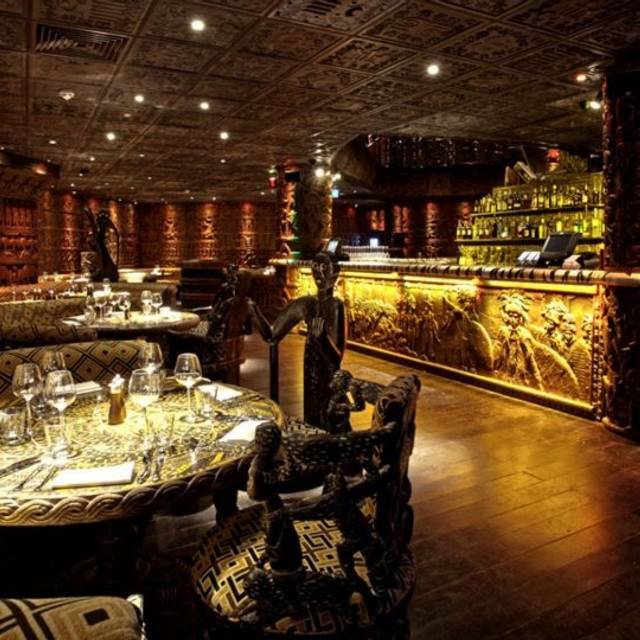 I went to Shaka Zulu in Saturday 23rd March for my birthday celebration. We were a table of 10 people seated at 9pm. I had booked over a moth in advance and paid a £100 deposit. The atmosphere was great but the service was appalling. We waited 50 minutes before our drinks came when we first arrived. We didn’t have starters as it was so late by the time the waiter took our order. The food was good but very little portions for the price charged therefore definitely not value for money. Especially as you have to add on sides as well. We didn’t finish eating until 11.40pm so didn’t have desserts as some of our party had last trains to catch home. Overall a very disappointing experience especially for my birthday. The bill was a whopping £570 and definitely not worth it. Food and atmosphere were really good, but the service was amazing, our waitress was fantastic and couldn't do enough for us and even knocked our entire drinks bill off when we had to wait a little bit too long for our starter. Very classy restaurant where you can either really dress up, or go casual/smart too. Food is amazing and atmosphere is 10/10. Good music, food and vibes! Overall it’s an ok place but the food was bland to me. The staff is friendly and welcoming. So it was ok as a once off dining experience, but would not likely repeat though as I did not feel I got value for £££spend. The place was empty, but still we had to get the attention of the waiter to great us, the food was not a lot for your money. Had to order sides. So ended up paying 85 even though we had a voucher for 49. Visited on Saturday evening, it’s an Amazing venue really good atmosphere, but let down on food, I asked for my meat to be cooked medium and it was rare so only ate bit of my main course, service was very good though,and l drinks were bit over priced. Good food, atmosphere, decor and service. Only improvement needed is the snobby, rude, lazy and unhelpful hostess at the reception desk!!! This place has amazing decor food and wine is pricey. Service is bad although we booked a table but every time we had to go and remind our waitress for our drinks. The was good really enjoyed that but the cleanliness really let the place down the ladies toilets were disgusting it stank of wee a toilet lady in a blue hoodie staring at us making us feel uncomfortable. Generally it was ok but the tables were missing shells on it and there was a chair that was ripped and the floors were dirty I won’t be coming back the place was too filthy for my liking. The experience was amazing. The restaurant is big and beautiful and has a nice feel to it. The food was very good as well as the service. The only thing that bought it down was the 12.5% service charge added, we asked that to be removed as we had spent additional money on drinks, sides and table sharers etc. Once we asked for the service charge to be removed, we were asked why we didn’t want to add the service charge as management would need to know why, I feel this is an extremely awkward question to ask a guest who has spent money on travel and the dining experience itself, if they don’t feel spending £15+ additional on an OPTIONAL service charge then it should be respected. Questioning a guest on why they don’t want to spend the money on the service charge means that the word “optional” should not be used. Overall happy but unfortunately that bought it down. It was enjoyable to an extent, the place itself is stunning and the staff are welcoming and helpful but the food is wayyy overpriced and not particularly good quality for what you pay. Excellent place to eat for a special occasion, little bit expensive. 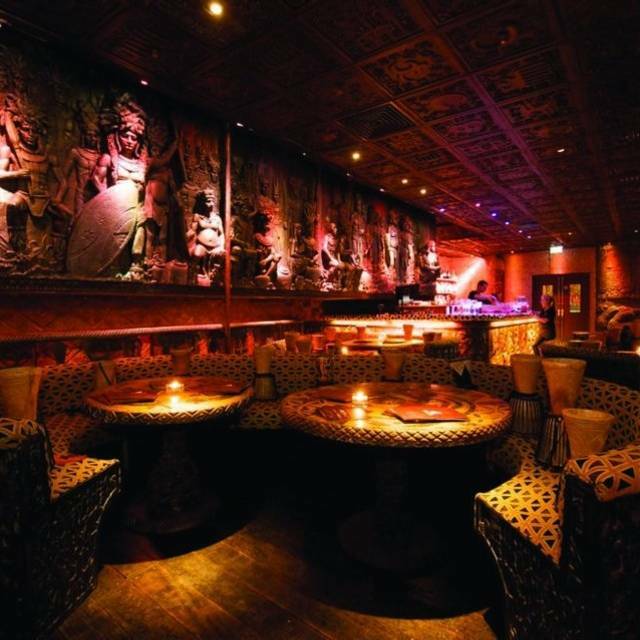 The decor is amazing, staff friendly, food great and plenty of choice for drinks. Receptionist wasn’t very professional, they were two receptionists In the reception having tea and talking meanwhile I was waiting for them to finish. I was waiting for my friend at the bar having drinks. The bartender Teo was really professional and friendly. When we vent at the table service wasn’t the best. The food was great but we was waiting long time for the bill. It was somewhere I've always meant to go so have finally been. Food is ok but expensive and club ambience ok but more a place to be seen than enjoy the music I would say. It was ok but not a place I would rave abut. Recently visited the venue for a friend's birthday celebration. The atmosphere was great, huge place. It wasn't particularly busy at 7.30 when we were dining but it took ages to get service from a vegetarian menu to even a drink! My friend ordered the crocodile, which he said was great. The rest of us had steak, some on the chewy side but over all, food good. The toilets seemed to be used as a storage room for laundry bags and excess toilet roll... Not a nice picture. On leaving through the exit, it was a very different scene to the glorious entrance. A rather worn out dirty and damaged stair case. To sum it up, over priced with slow service. A little disappointed. Inside restaurant has fab interior and lots of sculptures and carvings.very busy and noisy. Food very expensive drinks even more so. Set menu food not as impressive as a la carte(we were Sat by kitchen). Lots of costly extras to add to set menu. Service poor. Had to ask 3 people more than 3 times just to get a glass of water. Interesting experience but probably would not return.